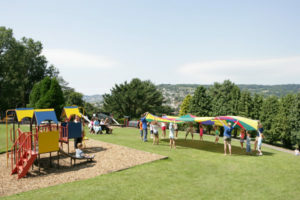 A five star holiday park set in 23 acres of landscaped grounds a short stroll from both Charmouth village and beach. Providing a full range of modern holiday accommodation including en suite rooms, apartments, caravans and luxury pine lodges. Our touring and camping areas offer both hard standing and grass serviced pitches – most are terraced with beautiful views across the surrounding countryside. Newlands has many facilities including indoor and outdoor swimming pools, large adventure playground, indoor soft play area, shop, takeaway, restaurant, bar and lounge with entertainment 2 – 7 nights a week depending on the season.